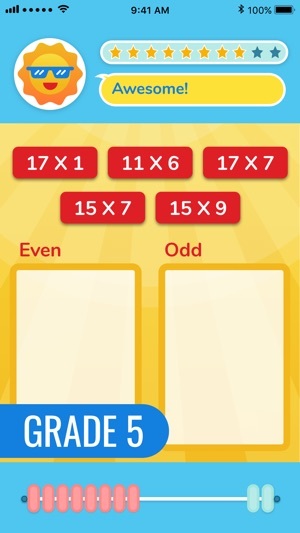 Designed by teachers to promote daily, grade-level specific summer math practice. Help for kids going into grades 1-5 to retain those hard-earned math skills over summer break. Each grade-level module is available as an in-app purchase at just $5.99 for the entire summer. 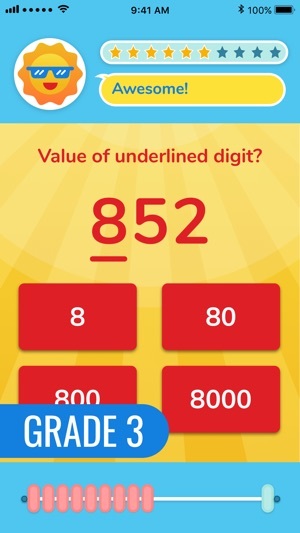 • Develop grade-level fact fluency in just 10-15 minutes per day. • Stay the course with reminders to do the Math Star daily practice. • Build their math confidence through guided practice. • Stay accountable with parent progress reports, so you’ll know how your child is doing. Summer break is a great time for children to relax and recharge, but it's also when learning loss occurs. Of all subjects, math is hardest hit by summer learning loss with an estimated 2.6 months of grade level equivalency in math skills lost over the summer months. Regular practice with problem solving, computation, and math logic preserve mathematical gains made during the school year. 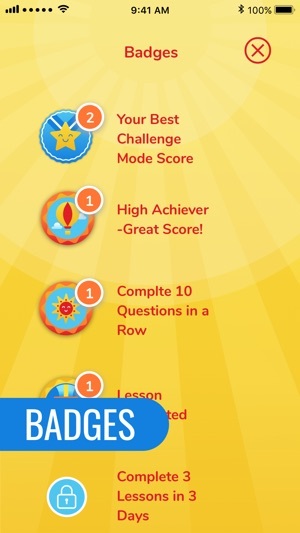 Unlike games that allow your child to choose which skills they practice (they like to work their strengths), our algorithm ensures they practice all their skills for 10-15 minutes a day over the summer break, keeping them sharp and ready for the next school year! Curriculum is aligned with Common Core Math Standards. This is a great app for daily practice! 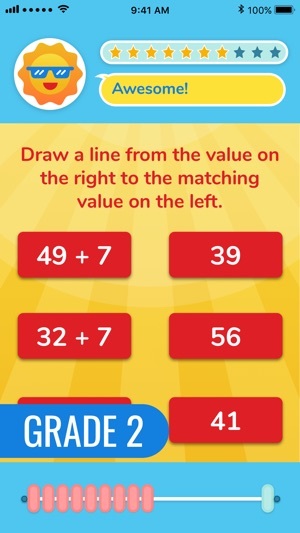 I downloaded this app for my 3rd grader over spring break to test it out - LOVE IT! It takes around 10 minutes to finish a daily lesson and it’s easy to do anywhere on a mobile device. We will definitely be Math Star users this summer! My daughter really enjoys this app. She asks to play it which is really like asking to study math. It is boosting her math confidence. The daily challenge is her favorite part- she tries to beat her own record. She also has fun changing the avatar. This will be great for summer review. I am a math teacher and a mom of a 4th and 5th grader. 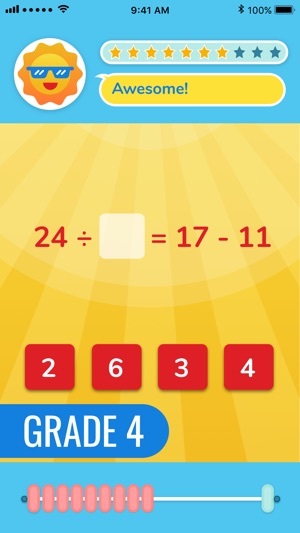 This app is perfect for reviewing math skills over the summer. I love the variety! 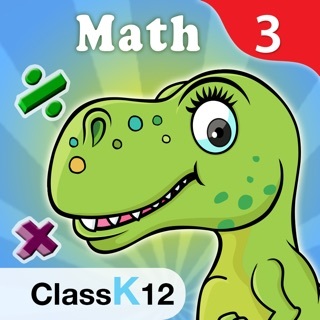 It includes plenty of basic math facts along with other important skills. I will definitely recommend this to my students!